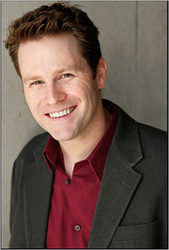 Eric Vale is an American voice actor, ADR director, script and head writer who works for anime series at FUNimation Entertainment. He is best known as the English voice of Sanji in One Piece (anime and the Unlimited Adventure game), the adult variations of Trunks in Dragon Ball (anime, movies, and games), Yuki Sohma in Fruits Basket, America and Canada in Hetalia: Axis Powers, Arystar Krory the Third in D.Gray-man, Solf J. Kimblee in Fullmetal Alchemist and Fullmetal Alchemist: Brotherhood , Jean in Gunslinger Girl, Oji Karasuma in School Rumble, Koichiro Iketani in Initial D, and Justin Law in Soul Eater. Eric's ADR director credits include Case Closed and Gunslinger Girl. As the head writer, Eric has also scripted over fifty anime programs, such as Initial D, One Piece, Ouran High School Host Club, Peach Girl, Spice and Wolf, etc.